I've always admired the California cool aesthetic, but unfortunately have never been quite able to pull it off myself. 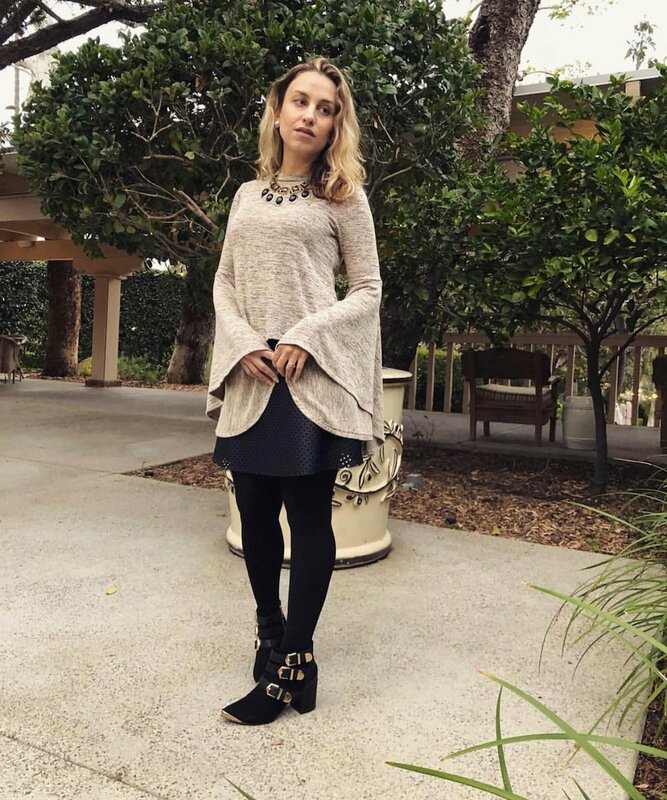 Which is why I was so excited to interview Cali-girl, stylist and blogger Luisa Lucia to see if I could learn a little bit about her approach to style, and convince her to share some tips! How and why did you become a stylist? I knew I wanted to work in fashion since I was a little girl. I studied fashion design in college, but when I realized how challenging it is to "make it" as a designer, not to mention all the barriers to entry, I decided styling was a better fit. I studied at the School of Style and quickly started interning and assisting to work my way up. That was in 2011 and I've been styling ever since. Which celebrities do you think are really slaying the style game so far in 2018? I don't follow celebrity style all that closely anymore. For one, I specialize in styling regular people, so most of the brands I work with are more mainstream/affordable. And because of the way social media has changed the industry, I'm more inclined to follow fashion influencers than celebrities. In that respect I'm totally obsessed with Stephanie Hill of The Style Bungalow and Elizabeth Keene of A Keene Sense of Style, among others. What style advice would you give your younger self? I'm pretty happy with my style choices throughout the years. My style was definitely more eccentric when I was young, but that was all part of the process. If anything, I would say don't buy cheap stuff. When you're on a budget it's easy to fall into the trap of cheap shoes or cheap jewelry, but as I've gotten older I've realized that was really a waste because I've cleansed my closet of many of those items. How do you curate your own closet? I'm a bit of a collector, so I own wayyyyyy too much stuff. In that sense, organization is key, or my closet would be total mayhem. I keep my entire wardrobe organized by type of item, then color. So all my dresses are in one section, then all arranged with like colors grouped together. This is even true for my shoes and accessories, though I can't always keep it perfect, especially when I'm busy and don't have the time. I'm also constantly purging, which helps make room for new items. I love getting rid of stuff almost as much as I love buying new things. Looking at your own closet, what are your favorite investment pieces and what trends are you loving this season? I don't have favorite pieces per say because I really wouldn't know how to choose. But I strongly believe in investing in quality shoes and handbags. High-end accessories (especially leather goods) are built to last. Don't buy a bag that's going to fall apart after a year of use. Regarding trends, I adore straw circle bags for the summer season. I also swear by prints and bright colors when summer rolls around. What is your go-to style tip? Don't go overboard with trends. Dress for yourself. Wear what flatters you and what suits your personality regardless of what's "in". Black pants. A pair that fit your body perfectly and that can be dressed up or down. The silhouette might vary depending on your body type, but as long as they flatter you, you will make use of them! What would you be doing if you weren’t a stylist? Interior design. I love remodeling and redecorating. Especially taking an old house with potential and making it something beautiful. I'm starting to branch out and do more interiors for my clients as well. What's your top pick from Bombay Taxi Boutique and how would you style it? I'm in love with the NAMRATA DUAL TONE EARRINGS. Mixed metals are modern, eclectic, and easy to style. Plus the leaf pattern evokes a tropical vibe that's perfect for summer. I would pair these with a cute printed sundress or colorful flowing maxi, and avoid wearing a necklace to keep it simple and chic. HUGE thanks to Luisa for this fun interview! You can find her online at LuisaLucia.com and StyleMeSenseless.com, and on Instagram! If you would like to pin this post to your Pinterest Board, you’re welcome to use the pin below!